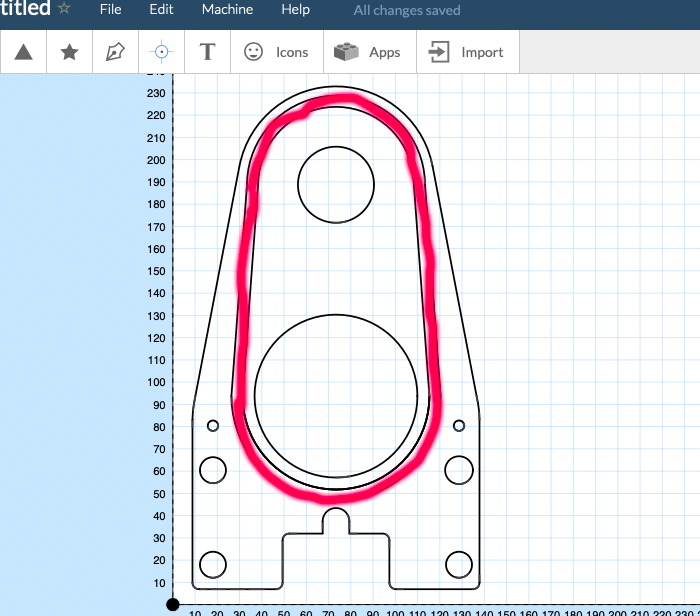 But I feel not very comfortable with using the CAM section from Autodesk Fusion 360 as it will crate only a NC file for a GCODE way. 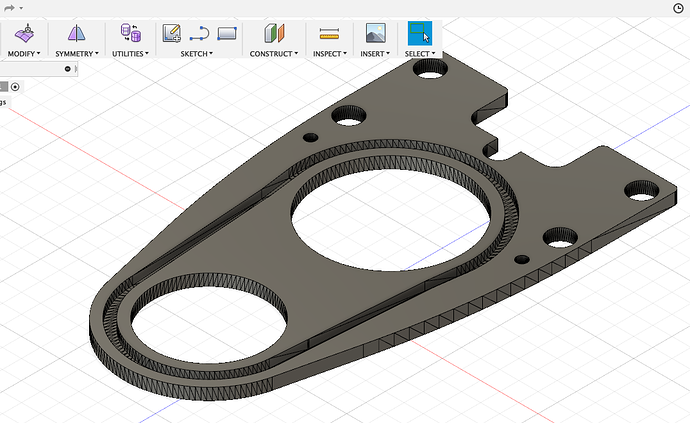 Since you say you are using Fusion 360 already. I would recommend watching this video and see if the tool path tutorial makes any sense to you after watching. We wanted to combine walnut and corian by using a precise half lap dovetail joint because we thought it looked cool and we wanted to test the precision of our machines. they have done a really great job in explaining the steps. Just scroll down to the video part and read the tutorial. @T.Pruefer Export as a dxf and import into Easel. You may have issues with splines or curves, but it’ll get you really close. If you want to share the file, I can help with more detail. I am back again. I followed your recommendation to export my project to a DXF file. First I created an easy drawing in the freeware Draftsight (similar to Autodesk Autcad, but for free) and saved the file in DXF format. Now I imported the file to Easel, It works very good, but . Now I have one small issue , may be you can help me with this how I can manage it. I also attached my DXF file, in case you want to follow my issue what I have with EASEL. 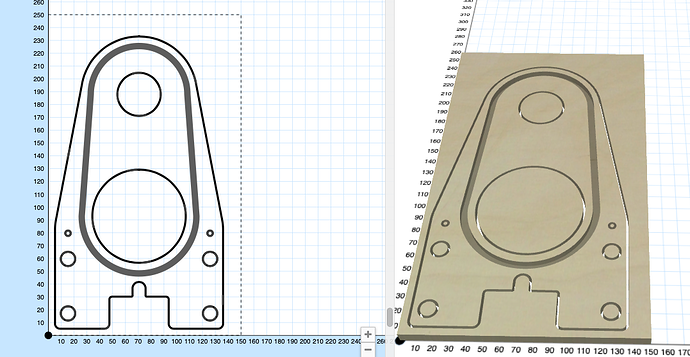 After my import of the DXF file, I had to manage several lines to decide if the router should cut inside or outside. which I managed finally. Now my question is how can I explain EASEl to cut the red area 4mm depth (total material should be 8mm. I have to lines with 5 mm distance in between. Is in the dxf file a mistake which I need to generate my original drawing in another way, or how can I explain within EASEL to run several paths inside the red area that I have 5mm a depth of 4mm. Attached is my DXF file. May be I should learn to work with Autodesk fusion 360 ;- ) which looks easier to handle the transfer of the drawings to carve my projects. Could you share your Easel project link? Do this by going to File / Share in Easel and then click “Shared with link” and copy/paste the link here. Once those 2 shapes are closed, you can make them “Fill” shapes in Easel, set the inner one to a depth of 0, and combine them. I will now install Inkscape as well to start to try to connect my lines. On the other side it was now useful to get also the drawing imported from Russel in the right way. As soon I managed the Inkscape way to count the lines, I will let you know here again. Again big thanks to everyone. You’re welcome, what is that going to be? Good luck with your project and if you need something else just let me know. Looks like a dust shoe? @T.Pruefer, was the original design made in SketchUp? That’s what it looks like but I was wondering how it would attach to the X-Carve. yes it is true . It is a dust shoe. I was looking for a solution to look during the carving inside the area, which was not possible in most of the solution which I found. SO for this reason I found one in the §D print world. 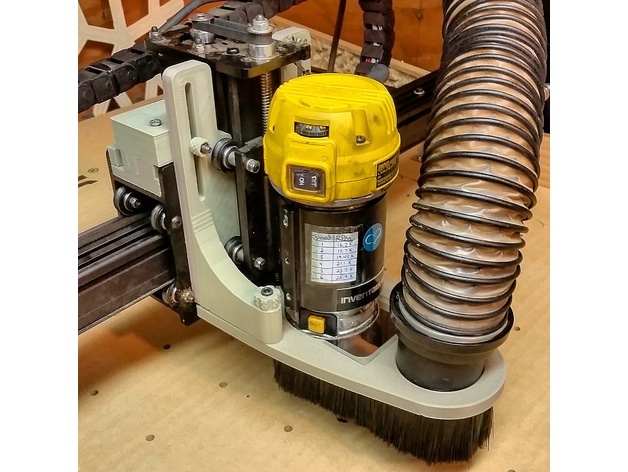 All of the parts you can print with a 3D printer or of course you can design it with wood and the dust shoe itself would be out of acrylic . Which looks very similar to the suckit design. Here the link from the Thinkserve website which I used to download the files. There are different files , but I was not able to change the hole for the dust connection , I wanted only 35mm instead of the big hole which was originally in. May be there is an easier way to use one of the files. NOTE: I just added out of my workshop this infomration. WHich bit you would use to cut this acrylic out ? I am now using the 1/8 inch Upcut bit from inventables. If I am right , I am not using the recommended speed , do you have also some sugestion for me ? with the plunge rate, feed rate and depth per path ?